Heaven forbid a hair should get out of place! 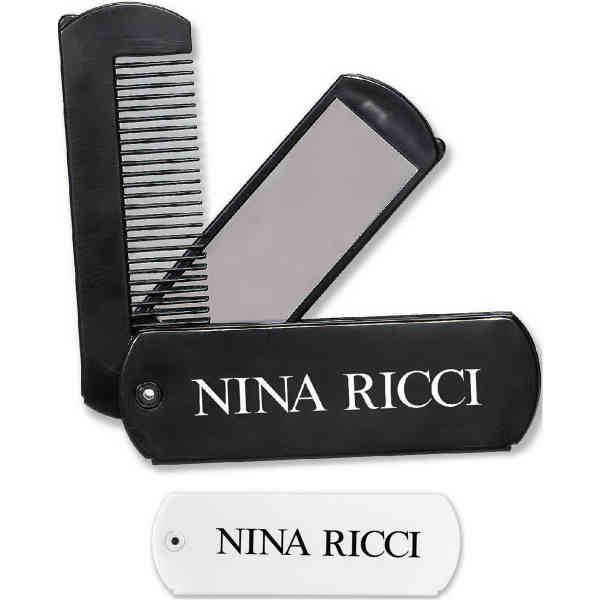 You'll never have to worry about your hair style when you have our Folding Comb Mirror by your side! This great item is incredibly compact and will easily fit in any purse, briefcase, or pocket, excellent for travel. Each set contains three conjoined pieces - a mirror, comb, and handle - that fan out for individual use. Available in 2 different colors. Size: 3 3/4 " x 1 1/4 "